Packed with inspiration and advice for getting the most out of your camera. 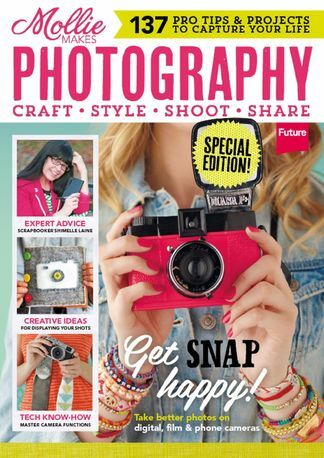 The team behind Mollie Makes brings you this beautifully-designed special, packed with inspiration and practical advice for getting the most out of your camera. Guest-edited by photographer, scrapbook designer and tutor, Shimelle Laine, this manual with a creative twist showcases display ideas alongside interviews with bloggers and stylists. Easy-to-follow tips will help you capture on film everything from low-light still-lifes to wriggly newborns! Be the first person to tell us what you think about Mollie Makes Photography and you'll save $5 on your next purchase! 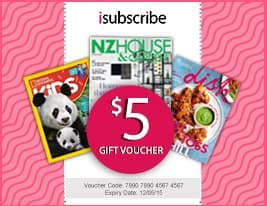 https://www.isubscribe.co.nz/mollie-makes-photography-digital-subscription.cfm 15631 Mollie Makes Photography https://www.isubscribe.co.nz/images/covers/nz/541/15631/square/MollieMakesPhotography241020174015.jpg NZD InStock /Digital/Photography/Digital Packed with inspiration and advice for getting the most out of your camera.